Whether you're heading out for an exotic vacation or just relaxing close to home, you need sandals that keep you comfortable while staying stylish. 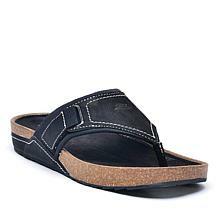 Easy Spirit black thong sandals are the perfect complement to all of your laid-back summertime outfits. Slip into a pair when you go out for a beach day, or let them protect your feet from the hot ground while you're lounging by the pool with family and friends. Jetting off for a warm-weather vacation? 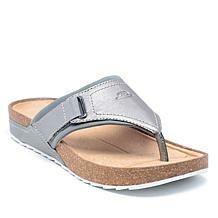 Make sure you have these sandals packed and you'll be ready to tour the sights or unwind by the water. Black thong sandals are easy to slip on and go, plus they work well with a variety of outfits. 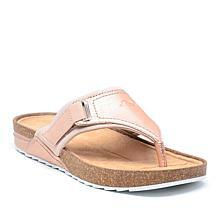 Put them on with all of your favorite summer dresses for a look that's relaxed yet stylish. Nothing beats summer days spent enjoying the water, whether in your backyard or the beach. 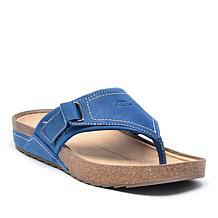 Wear these thong sandals with swimwear and cover-ups and you're prepared for all your summer activities. Shop the HSN selection today and discover the perfect summer sandal. From days relaxing close to home to that long-awaited vacation, these are the sandals ready to take you anywhere.